Certified Nursing Assistant Training Paso County: What Does a CNA Do? Are you interested in a career as a certified nursing assistant? 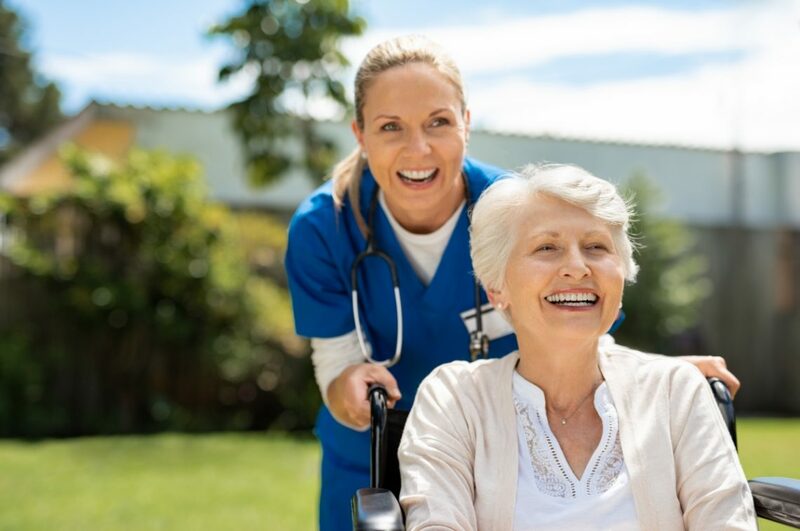 It’s an undeniably important position in the healthcare industry, and as we discussed in a previous blog post, CNAs handle most of a patient’s direct care. If you want to learn more about what that means, you’ve come to the right place! 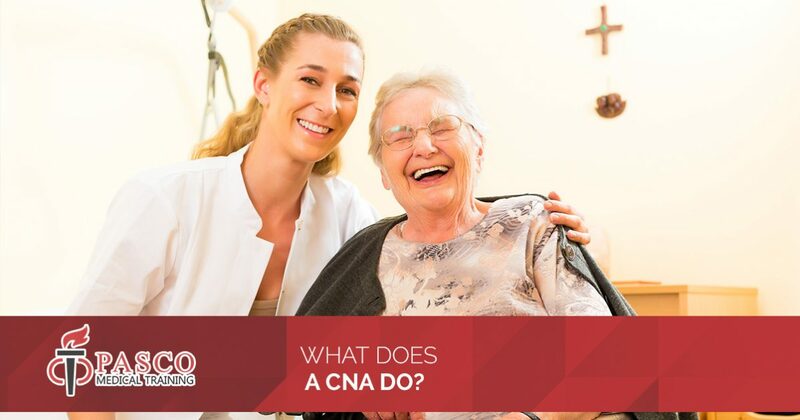 In today’s blog, we discuss a few of the major aspects of a CNA’s job. Continue reading to learn what you can expect from this position, and when you’re ready to jumpstart your healthcare career, contact Pasco Medical Training to enroll in our affordable CNA classes! One of the most important duties a certified nursing assistant has is observing each patient’s condition. They track a patient’s treatment and medications and monitor vital signs like heart rate and blood pressure. Then, they record their findings for the benefit of everyone on the patient’s healthcare team. A major component of a CNA’s job is also facilitating communication between the patient and their doctor and registered nurse, alerting the patient’s team of any problems or concerns voiced by the patient. Certified nursing assistants are on the frontlines for helping maintain a patient’s quality of life as they recover or learn to manage their health challenges. This often means assisting a patient with personal hygiene tasks like bathing, dressing, brushing their teeth, and brushing their hair. For bedridden patients, CNAs are also often the ones helping them move and shift to prevent bedsores. CNAs also provide most of a patient’s direct medical care with duties such as changing dressings and bandages. They can also help the patient exercise regularly and provide therapeutic massage when necessary. For those whose condition makes eating difficult, a certified nursing assistant will help them feed themselves, and will record a patient’s intake and output to better monitor their health. As we mentioned, a certified nursing assistant’s job is not often glamorous, but they do perform important tasks. Sometimes that means simply transporting patients, whether that means pushing a wheelchair or offering support to prevent falls or further injuries. CNAs also sometimes perform housekeeping duties. Patients who have mobility concerns or other limitations may have trouble picking up after themselves. To keep their room free of hazards and help them concentrate on their recovery, a CNA may clean and tidy the patient’s room. Being a certified nursing assistant can be challenging, but these seemingly simple duties can have a significant impact on the patient’s life and care. A CNA offers patients support and helps them recover physically, mentally, and emotionally, offering compassionate care every step of the way. If you are interested in a healthcare career that makes a difference, sign up for CNA classes with Pasco Medical Training today! Here in Hudson, Pasco Medical Training provides hands-on experience and classroom learning at a licensed education facility. We know exactly what Florida’s standards are to qualify for the CNA certification test, and our flexible, affordable classes prepare you with everything you need to succeed. Choose daytime, evening, or weekend classes that work with your schedule, and take the first step toward a meaningful career in medicine today!